PURPOSE: A navigation device with a function for warning a dozer while driving is provided to induce a driver a safe drive by outputting a warning message. CONSTITUTION: A navigation device(100) includes a map data database(110), a message data database(140), a GPS receiver(120), a temperature sensor(130), a navigation controller(150), an audio processing unit(160), and a display device(180). The message data database stores message data. Message data is the warning messages. The GPS receiver receives position data and time information. The temperature sensor senses the indoor temperature of the vehicles. The navigation controller calculates the degree of danger in doze off while driving. The navigation controller outputs map matching data. An audio processing part outputs an audio signal corresponding to the warning message. The display device shows a map screen. 본 발명은 차량용 멀티미디어 장치에 관한 것으로서, 더욱 상세하게는, 차량용 내비게이션(navigation) 장치에 관한 것이다. The present invention relates to a vehicle multimedia device, and more particularly, to a vehicle navigation (navigation) device. 일반적으로, 내비게이션 장치는 GPS(Global Positioning System) 위성들로부터 각각 수신되는 위치 데이터들에 기초하여 차량의 현재 위치를 계산하고, 그 계산된 차량의 위치를 지도 데이터에 맵 매칭(map matching) 하여 표시한다. In general, the navigation apparatus is displayed by calculating a current position of the vehicle, and matching the map the position of the computed vehicle on the map data (map matching) based on the location data received from each of the (Global Positioning System) GPS satellites do. 그 결과, 운전자가 내비게이션 장치에 표시된 지도 화면을 보고, 차량의 현재 위치를 파악할 수 있다. As a result, the driver is looking at the map screen displayed on the navigation device, you can determine the current location of the vehicle. 최근에는 사용자의 편의를 위해 내비게이션 장치에 다양한 기능들이 추가되고 있다. It has been recently added various functions to the navigation device for your convenience. 그 일례로서, 급커브 지역, 사고 다발 지역, 안개가 많이 끼는 곳 등과 같은 위험 지역에서, 사용자에게 안전 운행을 경고하는 기능이 내비게이션 장치에 포함된다. As an example, in the danger zone, such as sharp curves regional, accident-prone areas, where the fog-fitting lot, the ability to alert the user to the safe operation are included in the navigation device. 하지만 종래의 내비게이션 장치는 운전자의 졸음 운전에 따른 교통 사고를 방지하기 위한 기능을 포함하지 않는다. However, conventional navigation apparatus does not include the ability to prevent traffic accidents due to drowsiness of the driver. 운전자의 졸음 운전으로 인한 교통 사고는 전체 교통 사고 발생 비율에서 매우 큰 비중을 차지하고 있다. Traffic accidents caused by drowsiness of the driver occupies a very large proportion of total traffic accident rate. 따라서 운전자 의 안전 운전을 위해, 졸음 운전을 경고하는 기능이 내비게이션 장치에 추가될 필요가 있다. So for the safe operation of the driver, a feature that can alert a drowsy driver needs to be added to the navigation device. 따라서, 본 발명이 이루고자 하는 기술적 과제는 사용자가 운전하는 동안, 시간, 지도 데이터, 차량의 속도, 및 차량의 실내 온도에 기초하여, 졸음 운전 가능성의 정도를 나타내는 졸음 운전 위험도를 계산하고, 그 계산된 졸음 운전 위험도에 대응하는 졸음 운전 경고 메시지를 출력함으로써, 사용자가 졸음 운전을 하기 쉬운 환경일 때 사용자에게 졸음 운전을 경고하여, 안전 운전을 유도하고 졸음 운전으로 인한 교통 사고를 방지할 수 있는 졸음 운전 경고 기능을 가지는 내비게이션 장치를 제공하는 데 있다. Thus, while the invention has been achieve the user and operation aspect is that, time, on the basis of the room temperature of the map data, the speed of the vehicle, and the vehicle, and calculates the drowsiness risk indicating the degree of drowsiness possibility, the calculated a by outputting a drowsiness warning message corresponding to drowsy driving risk, sleepiness that users may want to warn drowsy driving to the user when one easy-to-a drowsy driving environment induces safe driving and prevent traffic accidents caused by drowsy driving to provide a navigation device with a driver warning functions. 상기한 기술적 과제를 달성하기 위한 본 발명에 따른 내비게이션 장치는, 지도 데이터 DB, 메시지 데이터 DB, GPS 수신기, 온도 센서, 내비게이션 제어부, 오디오 처리부, 및 디스플레이 장치를 포함한다. Navigation device according to the present invention for achieving the above described technical problem is, and a map data DB, DB data messages, GPS receiver, a temperature sensor, a navigation control, audio processing, and a display device. 지도 데이터 DB는 지도 데이터를 저장한다. The map data DB stores map data. 메시지 데이터 DB는 졸음 운전 경고 메시지들에 각각 대응하는 메시지 데이터들을 저장한다. Message data DB stores the message data corresponding to the drowsiness warning. GPS 수신기는 GPS 위성들로부터 차량의 현재 위치에 대응하는 위치 데이터들 및 현재의 시간 정보를 수신한다. GPS receiver receives the position data and the current time information corresponding to the current position of the vehicle from GPS satellites. 온도 센서는 차량의 실내 온도를 센싱하여 출력한다. Temperature sensor outputs to sense the interior temperature of the vehicle. 내비게이션 제어부는 외부의 속도 센서로부터 차량의 속도를 수신한다. Navigation control unit receives the speed of the vehicle from an external speed sensor. 내비게이션 제어부는 지도 데이터, 현재의 시간, 차량의 실내 온도, 및 차량의 속도에 기초하여, 졸음 운전 가능성의 정도를 나타내는 졸음 운전 위험도를 계산하고, 그 계산된 졸음 운전 위험도에 대응하는 메시지 데이터들 중 하나를 출 력한다. Navigation control unit of the map data, the message data based on the current time, room temperature, and vehicle speed of the vehicle, calculating a drowsiness-risk indicating the degree of drowsiness possibilities, corresponding to the calculated drowsiness risk the Outputs one. 내비게이션 제어부는 위치 데이터들과, 차량의 속도에 기초하여, 차량의 현재 위치를 계산하고, 그 계산된 현재 위치를 지도 데이터에 맵 매칭하여, 차량이 주행중인 도로에 대한 지도 화면을 나타내는 맵 매칭 데이터를 출력한다. Navigation control unit on the basis of the position data and the speed of the vehicle, and calculates the current position of the vehicle, by matching the map to the calculated current position to the map data, map matching data representing a map screen on the vehicle during traveling road the outputs. 오디오 처리부는 내비게이션 제어부로부터 수신되는 메시지 데이터들 중 하나에 기초하여, 졸음 운전 경고 메시지들 중 하나에 해당하는 오디오 신호를 스피커에 출력한다. The audio processing on the basis of one of the message data received from the navigation control unit, and outputs the audio signal corresponding to one of the drowsiness warning message to the speaker. 디스플레이 장치는 맵 매칭 데이터에 기초하여, 차량이 주행중인 도로에 대한 지도 화면을 표시한다. Display apparatus on the basis of the map matching data, and displays the map screen on the vehicle during traveling on the road. 상술한 것과 같이, 본 발명에 따른 내비게이션 장치는, 사용자가 운전하는 동안, 시간, 지도 데이터, 차량의 속도, 및 차량의 실내 온도에 기초하여, 졸음 운전 위험도를 계산하고, 그 계산된 졸음 운전 위험도에 대응하는 졸음 운전 경고 메시지를 출력하므로, 사용자가 졸음 운전을 하기 쉬운 환경일 때 사용자에게 졸음 운전을 경고하여, 안전 운전을 유도하고 졸음 운전으로 인한 교통 사고를 방지할 수 있다. As described above, the navigation device according to the invention, while the user is driving, time, map data, on the basis of the speed, and the indoor temperature of the vehicle of the vehicle, and calculates the drowsiness risk, the computed drowsiness risk drowsiness, so the output driver warning message corresponding to the user to alert the user when a drowsy driving one easy-to-drive experience drowsiness, which can lead to safe driving and prevent traffic accidents caused by drowsy driving. 이하, 첨부된 도면을 참조하여 본 발명의 바람직한 실시예를 설명하기로 한다. With reference to the accompanying drawings will be described a preferred embodiment of the present invention. 그러나, 본 발명은 이하에서 개시되는 실시예에 한정되는 것이 아니라 서로 다른 다양한 형태로 구현될 수 있으며, 단지 본 실시예는 본 발명의 개시가 완전하도록 하며 통상의 지식을 가진자에게 발명의 범주를 완전하게 알려주기 위해 제공되는 것이다. This invention may, however, not limited to the embodiments set forth herein may be embodied in many different forms, but the present embodiment is the scope of the invention to those, and conventional knowledge to complete the disclosure of the invention It will be provided to fully inform. 지도 데이터 DB(110)는 지도 데이터(MDAT)를 저장하고, 내비게이션 제어부(150)의 요청에 따라 지도 데이터(MDAT)를 내비게이션 제어부(150)에 출력한다. The map data DB (110) stores the map data (MDAT) and outputs the map data (MDAT) as requested by the navigation control unit 150 to the navigation controller 150. GPS 수신기(120)는 GPS 위성들로부터 차량의 현재 위치에 대응하는 위치 데이터들(LDAT1∼LDAT3) 및 현재의 시간 정보(TDAT)를 수신하여 내비게이션 제어부(150)에 출력한다. GPS receiver 120 receives position data of the (LDAT1~LDAT3), and the current time information (TDAT) corresponding to the current position of the vehicle from GPS satellites and outputs to the navigation controller 150. 온도 센서(130)는 차량의 실내 온도(TEMP)를 센싱하여 내비게이션 제어부(150)에 출력한다. Temperature sensor 130 is to sense the ambient temperature (TEMP) of the vehicle and outputs to the navigation controller 150. 메시지 데이터 DB(140)는 졸음 운전 경고 메시지들에 각각 대응하는 메시지 데이터들(MSGDA1∼MSGDAJ, MSGDS1∼MSGDSK, MSGDH1∼MSGDHM)(J,K,M은 정수)을 저장한다. Message data DB (140) stores the message data corresponding to the drowsiness warning message (MSGDA1~MSGDAJ, MSGDS1~MSGDSK, MSGDH1~MSGDHM) (J, K, M is an integer). 메시지 데이터들(MSGDA1∼MSGDAJ)은 표준어 버전(version)의 졸음 운전 경고 메시지들에 해당하고, 메시지 데이터들(MSGDS1∼MSGDSK) 방언 버전의 졸음 운전 경고 메시지들에 해당한다. The message data (MSGDA1~MSGDAJ) correspond to those on drowsy driving warning message in the Mandarin version (version), and the message data (MSGDS1~MSGDSK) dialect version of the driver drowsiness warning. 또, 메시지 데이터들(MSGDH1∼MSGDHM)은 유머(humor) 버전의 졸음 운전 경고 메시지들에 해당한다. In addition, the message data (MSGDH1~MSGDHM) corresponds to the humor (humor) version of drowsy driving warning. 유머 버전의 졸음 운전 경고 메시지들은 특정 개그맨(gagman)의 목소리로 표현될 수 있다. Drowsiness warning message of humor versions can be expressed as the voice of a certain comedian (gagman). 내비게이션 제어부(150)는 외부의 속도 센서(101)로부터 차량의 속도(SPD)를 수신한다. Navigation controller 150 receives the speed (SPD) of the vehicle from the outside of the speed sensor 101. 내비게이션 제어부(150)는 지도 데이터(MDAT), 현재의 시간(TDAT), 차량의 실내 온도(TEMP), 및 차량의 속도(SPD)에 기초하여, 졸음 운전 가능성의 정도를 나타내는 졸음 운전 위험도(MD)를 계산한다. Navigation controller 150 drowsiness risk indicating a degree of likelihood map data (MDAT), based on the current time (TDAT), the indoor temperature of the vehicle (TEMP), and the vehicle speed (SPD), drowsiness (MD ) calculates. 이때, 내비게이션 제어부(150)는 4가지 파라미터(parameter), 즉, 지도 데이터(MDAT)로부터 얻어진 직선 도로 구간, 현재의 시간(TDAT), 차량의 실내 온도(TEMP), 및 차량의 속도(SPD)에 각각 가중치를 두어 졸음 운전 위험도(MD)를 계산한다. At this time, the four parameters (parameter), namely, the map data straight road segment, and the current time (TDAT), room temperature (TEMP), and the vehicle speed of the vehicle (SPD) obtained from (MDAT), navigation controller 150 each couple a weight to calculate the risk of drowsiness (MD). 4가지 파라미터 각각에 대한 가중치와, 위험도의 범위는 아래의 표로 나타낼 수 있다. And the weight for the four parameters, respectively, and the scope of the risk can be expressed in a table below. [표 1]에서, 차량 속도의 평균 변화량은, 설정된 시간(예를 들어, 1분) 동안 차량 속도의 변화량을 의미한다. 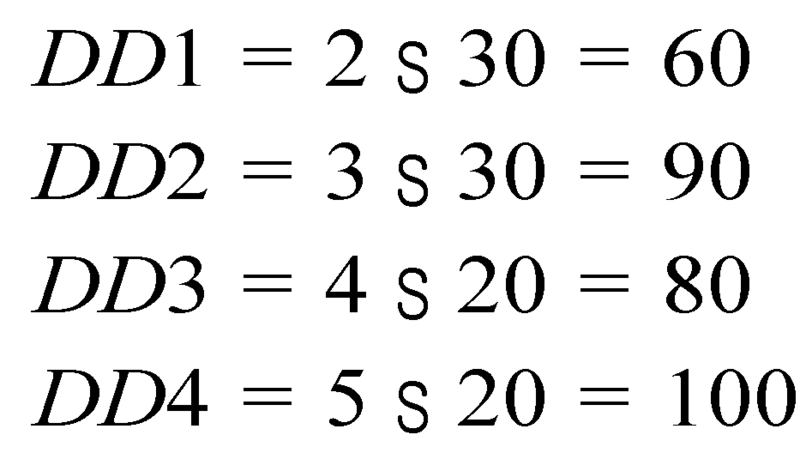 [Table 1], the average amount of change in vehicle speed, means an amount of change in the vehicle speed for a set period of time (e.g., one minute). 예를 들어, 현재의 차량의 속도가 60Km/H이고, 1분 동안 차량의 속도가 40Km/H∼80Km/H의 범위 내에 속할 때, 차량 속도의 개별 위험도는 "1"로 된다. For example, when a in the current vehicle speed is 60Km / H, the speed of the vehicle for one minute falls within the range of 40Km / H~80Km / H, the individual risk of the vehicle speed is set to "1". 또, 차량이 직선 도로를 주행하고 있을 때, 그 직선 도로 구간이 20Km이상 유지될 때, 직선 도로 구간에 대한 개별 위험도는 "5"로 된다. Further, when the vehicle is traveling a straight road, when that line route section to be maintained more than 20Km, the individual risk of the linear road sections is a "5". 여기에서, 각 파라미터별 위험도(DD)와, 각 파라미터별 위험도(DD)에 기초한 졸음 운전 위험도(MD)는 아래의 수식들에 의해 얻어질 수 있다. Here, the risk of drowsiness (MD) based on the respective risk (DD) by the parameter, the risk (DD) each specific parameter may be obtained by the following formula. [수학식 2]에서, DD1은 시간대에 따른 위험도이고, DD2는 직선도로구간의 길이에 따른 위험도이다. In the formula 2], DD1 is a risk of the time zone, DD2 is a risk of the length of a straight road segment. 또, DD3은 차량 속도의 평균 변화량에 따른 위험도이고, DD4는 차량의 실내온도에 따른 위험도이다. Further, DD3 is a risk of the average amount of change in vehicle speed, DD4 is a risk of the interior temperature of the vehicle. [표 2]의 경우에 있어서, 각 파라미터별 위험도를 계산하면 아래의 식과 같다. In the case of Table 2, when calculating the risk of each parameter as the expression below. [수학식 3]의 결과 값들을 [수학식 2]에 대입하면, 졸음 운전 위험도(MD)의 값이 82.5로 계산된다. Substituting the result of Equation 3 to Equation 2, the value of the risk of drowsiness (MD) is calculated to be 82.5. 내비게이션 제어부(150)는 계산된 졸음 운전 위험도(MD)에 대응하는 해당 메시지 데이터(MSGDA1∼MSGDAJ 중 하나, 또는 MSGDS1∼MSGDSK 중 하나, 또는 MSGDH1∼MSGDHM 중 하나)를 오디오 처리부(160)에 출력한다. Navigation controller 150 outputs (one of either one of MSGDA1~MSGDAJ, or MSGDS1~MSGDSK, or MSGDH1~MSGDHM), the message data corresponding to the calculated risk of drowsiness (MD) to the audio processing unit 160 . 여기에서, 졸음 운전 위험도(MD)의 값에 따른 졸음 운전 경고 메시지의 예는 아래의 표와 같이 나타낼 수 있다. Here, examples of the drowsiness warning message corresponding to the value of the risk of drowsiness (MD) can be expressed as shown in the table below. 90≤MD 90≤MD 졸음 운전은 가족과의 이별입니다. Drowsy driving is the breakup of the family. 졸리면 쉬었다가 안전 운행하세요. For the safe operation jolrimyeon rested. 70≤MD<90 70≤MD <90 많이 졸릴 수 있는 구간입니다. The interval can be more sleepy. 안전 운행하세요. For safe driving. 50≤MD<70 50≤MD <70 조금 졸릴 수 있는 구간입니다. The period can be a bit sleepy. 안전 운행하세요. For safe driving. 한편, 내비게이션 제어부(150)는 GPS 수신기(120)로부터 수신되는 위치 데이터들(LDAT1∼LDAT3)과, 차량의 속도(SPD)에 기초하여, 차량의 현재 위치를 계산하고, 그 계산된 현재 위치를 지도 데이터(MDAT)에 맵 매칭하여, 차량이 주행중인 도로에 대한 지도 화면을 나타내는 맵 매칭 데이터(MMDAT)를 디스플레이 장치(180)에 출력한다. On the other hand, the navigation control unit 150 based on GPS position data received from the receiver (120) (LDAT1~LDAT3) and a vehicle speed (SPD), and calculates the current position of the vehicle, the calculated current location by map matching the map data (MDAT), and outputs the map matching data (MMDAT) representing a map screen on the vehicle during traveling road on the display device 180. 오디오 처리부(160)는 내비게이션 제어부(150)로부터 수신되는 메시지 데이터(MSGDA1∼MSGDAJ 중 하나, 또는 MSGDS1∼MSGDSK 중 하나, 또는 MSGDH1∼MSGDHM 중 하나)에 기초하여, 졸음 운전 경고 메시지들 중 하나에 해당하는 오디오 신호(AUD)를 스피커(170)에 출력한다. The audio processing unit 160 on the basis of the (one of the one of one of MSGDA1~MSGDAJ, or MSGDS1~MSGDSK, or MSGDH1~MSGDHM) message data received from the navigation control unit 150, corresponding to one of the drowsiness warning message and it outputs the audio signal (AUD) for the speaker 170. 디스플레이 장치(180)는 상기 맵 매칭 데이터에 기초하여, 상기 차량이 주행중인 도로에 대한 지도 화면을 표시한다. Display device 180 may be based on the map matching data, and displays the map screen on which the vehicle during traveling on the road. 입력부(190)는 사용자의 입력에 따라, 내비게이션 제어부(150)에 입력 신호(INS)를 출력한다. Input unit 190 outputs the input signal (INS) to the navigation control unit 150 in response to user input. 내비게이션 제어부(150)는 입력부(190)로부터 수신되는 입력 신호(INS)에 응답하여 동작한다. Navigation controller 150 operates in response to input signals (INS) that is received from the input unit 190. The 내비게이션 제어부(150)는 입력부(190)로부터 사용자에 의해 입력된 목적지 정보(OBIF)를 포함하는 입력 신호(INS)를 수신할 때, 지도 데이터(MDAT)로부터 목적지까지의 최적의 경로를 검색하고, 그 검색 데이터(SDAT)를 디스플레이 장치(180)에 출력한다 디스플레이 장치(180)는 검색 데이터(SDAT)에 기초하여 목적지까지의 최적의 경로를 나타내는 지도 화면을 표시한다. Navigation controller 150 upon receipt of the input signal (INS) that includes a destination data (OBIF) input by the user from the input unit 190, and from the map data (MDAT) searches for the optimum route to the destination, and it outputs the search data (SDAT) to the display device 180, display device 180 displays a map screen indicating the best route to a destination based on the search data (SDAT). 다음으로, 도 2를 참고하여 내비게이션 장치(100)의 동작 과정을 좀 더 상세히 설명한다. Next, refer to Fig. 2 to be described in greater detail the operation of the navigation device 100. The 도 2는 도 1에 도시된 내비게이션 장치의 동작 과정을 나타내는 흐름도이다. Figure 2 is a flow chart showing an operation procedure of the navigation device shown in Fig. 먼저, 내비게이션 제어부(150)는 졸음 운전 경고 기능이 선택되는지의 여부를 판단한다(단계 1001). First, the navigation controller 150 determines whether the drowsiness warning function is selected (step 1001). 사용자가 입력부(190)를 통하여 졸음 운전 경고 기능을 실행시키는 해당 메뉴를 입력할 때, 내비게이션 제어부(150)는 졸음 운전 경고 기능이 선택된 것으로 판단한다. When entering the menu for launching a drowsiness warning function through the input unit 190, a navigation controller 150 determines that the drowsiness warning function is selected. 내비게이션 장치(100)의 졸음 운전 경고 기능이 선택된 경우, 내비게이션 제어부(150)는 지도 데이터(MDAT), 현재의 시간(TDAT), 차량의 실내 온도(TEMP), 및 차량의 속도(SPD)에 기초하여, 졸음 운전 가능성의 정도를 나타내는 졸음 운전 위험도(MD)를 계산한다(단계 1002). If the drowsiness warning function of the navigation device 100 is selected, the navigation control unit 150 based on the map data (MDAT), current time (TDAT), the indoor temperature of the vehicle (TEMP), and the vehicle speed (SPD) and calculates the risk of drowsiness (MD) indicating a degree of drowsiness possible (step 1002). 이 후, 내비게이션 제어부(150)는 졸음 운전 위험도(MD)의 값이 설정된 기준 값(예를 들어, 50) 이상인지의 여부를 판단한다(단계 1003). Thereafter, the navigation controller 150 determines whether or not the (e.g., 50) based on a value of a set of risk drowsiness (MD) or more (step 1003). 졸음 운전 위험도(MD)의 값이 설정된 기준 값 미만일 때, 내비게이션 제어부(150)는 운전자가 졸음 운전할 가능성이 적은 것으로 판단하고 메시지 데이터를 출력하지 않은 채로, 단계 1002 및 단계 1003의 동작을 반복한다. When drowsy driving risk reference value is less than the value of (MD) is set, the navigation control unit 150 repeats the operation while considered less likely the driver driving drowsiness, and did not display the message data, step 1002 and step 1003. 또, 졸음 운전 위험도(MD)의 값이 설정된 기준 값 이상일 때, 내비게이션 제어부(150)는 졸음 운전 위험도(MD)의 값에 대응하는 미리 설정된 버전의 메시지 데이터(MSGDA1∼MSGDAJ 중 하나, 또는 MSGDS1∼MSGDSK 중 하나, 또는 MSGDH1∼MSGDHM 중 하나)를 메시지 데이터(DB)(140)로부터 판독한다(단계 1004). Further, at greater than the reference value, the value is set in the drowsy driving risk (MD), the navigation controller 150 is one of a predetermined version of the message data (MSGDA1~MSGDAJ corresponding to the value of the risk of drowsiness (MD), or MSGDS1~ reads out one of the one MSGDSK, or MSGDH1~MSGDHM) from the message data (DB) (140) (step 1004). 사용자는 입력부(190)를 통하여, 표준어 버전, 방언 버전, 및 유머 버전 중 어느 하나의 버전을 미리 선택할 수 있다. The user can select any one of the versions of the standard language versions dialect versions, versions and humor through the input unit 190 in advance. 예를 들어, 유머 버전이 미리 설정되고, 졸음 운전 위험도(MD)의 값이 85일 때, 내비게이션 제어부(150)는 [표 3]에 나타낸 졸음 운전 경고 메시지에 해당하는 메시지 데이터(MSGDH1∼MSGDHM 중 하나)를 메시지 데이터(DB)(140)로부터 판독한다. For example, a humorous version is set in advance, drowsiness 85 when the value of the operation risk (MD), navigation controller 150 Table 3 message data (MSGDH1~MSGDHM for the drowsiness warning message shown in of one) is read from the message data (DB) (140). 이 후, 내비게이션 제어부(150)는 메시지 데이터(DB)(140)로부터 판독한 해당 메시지 데이터(예를 들어, MSGDH1∼MSGDHM 중 하나)를 오디오 처리부(160)에 출력한다. Then, the navigation control unit 150 outputs the message data (DB) (one, for example, MSGDH1~MSGDHM) (140) the corresponding message data is read from the audio processing unit 160. 그 결과, 오디오 처리부(160)는 내비게이션 제어부(150)로부터 수신되는 해당 메시지 데이터(예를 들어, MSGDH1∼MSGDHM 중 하나)에 기초하여, 졸음 운전 경고 메시지에 해당하는 오디오 신호(AUD)를 스피커(170)에 출력한다. As a result, the audio processor 160, a speaker audio signal (AUD) on the basis of the received message data (e.g., one of the MSGDH1~MSGDHM), corresponds to the drowsiness warning message from the navigation controller 150 ( outputs 170). 내비게이션 제어부(150)는 졸음 운전 경고 기능이 종료되는지의 여부를 판단한다(단계 1006). Navigation controller 150 determines whether the drowsiness warning function terminates (step 1006). 예를 들어, 내비게이션 장치(100)의 전원이 오프되거나, 또는 사용자가 입력부(190)를 통하여 내비게이션 장치(100)의 졸음 운전 경고 기능을 오프시킨 경우, 내비게이션 제어부(150)는 졸음 운전 경고 기능이 종료된 것으로 판단한다. For example, or the power supply of the navigation device 100 is turned off, or the user and the case where via the input unit 190 off the drowsiness warning function of the navigation device 100, the navigation control unit 150 drowsiness alerting We believe the exit. 내비게이션 장치(100)의 졸음 운전 경고 기능이 오프되지 않은 경우, 내비게이션 장치(100)는 단계 1002 내지 단계 1006의 동작을 반복한다. If the drowsiness warning function of the navigation device 100 is not off, the navigation device 100 repeats the operation of step 1002 to step 1006. 상기한 실시 예들은 본 발명을 설명하기 위한 것으로서 본 발명이 이들 실시 예에 국한되는 것은 아니며, 본 발명의 범위 내에서 다양한 실시예가 가능하다. The above-described embodiments are not necessarily the invention serves to explain the present invention is not limited to these embodiments, various embodiments are possible within the scope of the invention. 또한 설명되지는 않았으나, 균등한 수단도 또한 본 발명에 그대로 결합되는 것이라 할 것이다. In addition, although not described, equivalent means would also be said to be coupled as in the present invention. 따라서 본 발명의 진정한 보호범위는 아래의 특허청구범위에 의하여 정해져야 할 것이다. Therefore, the true scope of the present invention as defined by the claims. 도 1은 본 발명의 일 실시예에 따른 내비게이션 장치의 개략적인 블록 구성도이다. 1 is a schematic block diagram of a navigation device according to an embodiment of the present invention. 도 2는 도 1에 도시된 내비게이션 장치의 동작 과정을 나타내는 흐름도이다. Figure 2 is a flow chart showing an operation procedure of the navigation device shown in Fig. 상기 맵 매칭 데이터에 기초하여, 상기 차량이 주행중인 도로에 대한 지도 화면을 표시하는 디스플레이 장치를 포함하는 내비게이션 장치. On the basis of the map matching data, the navigation device comprising a display device for the vehicle displays the map screen on the road while the vehicle is being driven. 상기 디스플레이 장치는 상기 검색 데이터에 기초하여 상기 목적지까지의 최적의 경로를 나타내는 지도 화면을 더 표시하는 것을 특징으로 하는 내비게이션 장치. The display device is the navigation device according to claim 1, further displays a map screen indicating the optimum route to the destination based on the search data. 상기 내비게이션 제어부는, 상기 입력부로부터 졸음 운전 경고 기능 선택 정보를 포함하는 상기 입력 신호를 수신할 때에만, 상기 졸음 운전 위험도를 계산하고, 상기 메시지 데이터들 중 하나를 출력하는 동작을 실행하고, 졸음 운전 위험도의 값이 설정된 값보다 작을 때, 상기 메시지 데이터들 중 하나를 출력하는 동작을 정지하는 내비게이션 장치. The navigation control unit, only when receiving the input signal including a drowsiness warning function selection information from the input unit, and calculating the drowsiness risk, and performs an operation of outputting one of said message data, drowsiness when the value of the risk is less than the predetermined value, the navigation device to stop the operation of outputting one of said message data. 상기 내비게이션 제어부는, 상기 메시지 데이터들 중 하나를 출력할 때, 상기 방언 버전, 표준어 버전, 및 유머 버전 중 미리 설정된 어느 하나의 버전의 졸음 운전 경고 메시지들 중 하나에 대응하는 상기 메시지 데이터들 중 하나를 출력하는 내비게이션 장치. The navigation control unit to output one of said message data, the dialect versions, one of the standard language version, and humor version of the message data previously set corresponding to one of any of the versions of the drowsiness warning message a navigation device for outputting. 상기 차량이 주행중인 도로가 직선 도로이고, 상기 직선 도로의 거리가 증가할 때, 상기 졸음 운전 위험도 값의 크기가 증가하는 내비게이션 장치. When the vehicle is in a road while driving and the straight road, increase the distance of the straight road, the navigation device to a magnitude of the risk of drowsiness value increases.